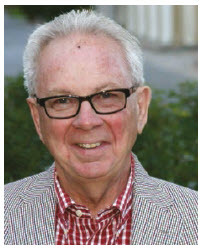 Larry Dickenson, whose photographs have appeared on the pages of this magazine’s food column since 2005, had a distinguished career in Canada’s foreign service. His friend, Guillermo Rishchynski, a long-time diplomat who served with Dickenson in Indonesia and was most recently Canada’s ambassador to the UN before becoming executive director of the Inter-American Development Bank, spoke at his memorial in Ottawa in April. We share excerpts here. The first thing one needs to know about Larry’s career is that he saw his diplomatic life as something he and Margaret did together, as a team. Long before it was fashionable to be a feminist, Larry understood he and Margaret made a commitment to the foreign service together. They undertook it as full partners, always keenly aware of the responsibility and honour inherent in representing our country. Margaret’s contributions were equal to his. This he knew, and this is how he saw it and lived it. It began in 1968 when they joined the foreign service. Little did they know how often they would become witnesses to history. .
Larry’s first foreign posting was to Vienna. On his very first day, the embassy was the scene of an unspeakable tragedy, as a fire, set by a disgruntled visitor, consumed the mission and took the lives of two staff members. Larry was one of the last to evacuate the upper floors, only to look up and see his office consumed by the flames. A first day of work never to be forgotten, and lessons of security, preparedness and the need to act fast etched forever in his consciousness. In Moscow, the Cold War was in transition from deep freeze to détente and Larry made the most of the experience. He and Margaret internalized the lessons of foreign service craft, which they continued to refine to the highest levels. In 1972, they were part of a small but vocal Canadian contingent that cheered Team Canada to an epic victory in the Canada-USSR hockey series. Then it was on to Brussels as agricultural attaché to the European Community at a time of consolidation of the GATT between the Kennedy and Uruguay rounds of Multilateral Trade Negotiations. Then to Cairo when the momentous peace agreement between Egypt and Israel was signed. Representing Canada in Egypt at a time of such profound change and tension was not lost on Larry. After Egypt, Seoul beckoned — an unexpected assignment as minister-counsellor. Here, too, Larry found himself a witness to history when, as chargé d’affaires, he was faced with the aftermath of the shooting down in September 1983 of KAL 007, with eight Canadians among the 269 lost. Returning to Canada, Larry demonstrated his range, first as director for Europe and then as director general for culture and education. Not just any foreign service officer can comfortably move between the worlds of trade policy, cultural relations and education, but Larry did so with his usual energy and attention to detail, recognizing that the key to success in all of these varied worlds includes identifying partners, forging relationships, designing a blueprint for achieving results and implementing with speed and purpose. This was the hallmark of his 35 years of public service, 20 of which he and Margaret served abroad. Larry was appointed as ambassador to Kuwait, Qatar, Bahrain, the UAE and Oman in 1988. With determination and energy he began his tenure travelling up and down the Persian Gulf, advancing Canada’s political, economic and trade interests. The main event of this assignment was the First Gulf War. Larry threw himself into the emergency task force established after the invasion, and played a key role in exfiltrating our staff, providing consular services to get more than 700 Canadians out of Kuwait, and planned the everyday operation in response to this aggression. This was leadership at its best. In his office in Jakarta, he kept a framed picture of himself and Canadian staff raising our flag at the Kuwaiti embassy after liberation. His arrival in Jakarta in 1992 coincided with deep fissures in Canadian-Indonesian relations over the conflict and human rights situation in East Timor. He sized up the challenge for what it was and rolled up his sleeves to create the foundations of a mutually beneficial relationship. [Alongside him,] I worked and learned, watching a strategist and tactician of great skill and ability. Lessons for a lifetime, to be sure. I have continued to hear his voice in my own head over the last 25 years, asking the questions he would pose to us: “What is the Canadian interest”? “What is the plan for reaching this objective”? “Keep your radar on, and expect the unexpected.” Larry was a remarkable, resourceful diplomat. He expected the best from himself and those he worked with and always found time to ask about family and children. Today as we celebrate Larry’s life and career, we remember a spouse, father, grandfather, brother, mentor, colleague and friend — an exceptional diplomat, and a fine man; a man of great warmth, perception, energy, emotional strength, intelligence and skill.